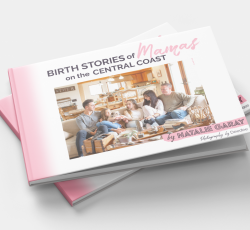 Birth Stories of Mamas on the Central Coast. The intention of this book is to share and witness the individual heroic birth stories of the mamas in our community and beyond. Too often, I hear women say that they feel alone in their birth or motherhood journey. By sharing our stories, we learn how connected and similar our stories really are. 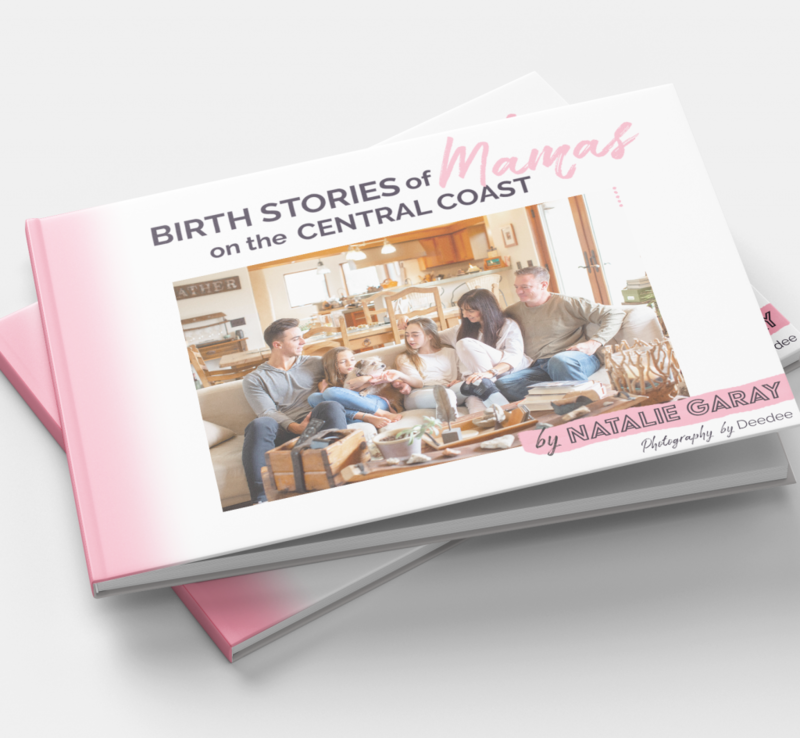 This book will highlight the stories of 10 amazing, local mamas through beautiful photography and storytelling, while also showcasing our incredible community of birth workers here on the Central Coast. Presale price is $25 until April 30th. A portion of the proceeds with be donated to various local women's organizations.